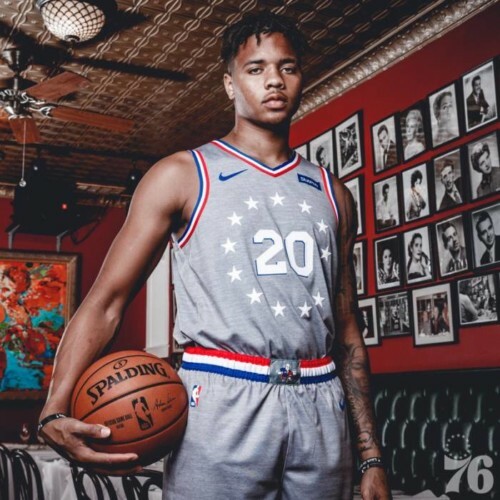 The Philadelphia 76ers unveiled today its 2018-19 City Edition uniform, presented in partnership with Official Jersey Patch Sponsor StubHub. 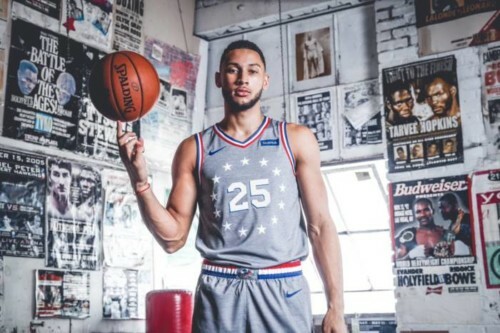 The 2018-19 City Edition uniform celebrates Philadelphia’s rich history of the challenger’s mentality that inspired the “Rocky” and “Creed” films. The uniform’s core displays the iconic circle of 13 stars derived from the boxing ring where Rocky Balboa first squared off against Apollo Creed, while the gray sweatsuit-textured base was influenced by both Adonis Creed’s and Rocky’s legendary training scenes throughout the streets of Philadelphia. The crisp blue, red and white waistband trim on the shorts is inspired by Rocky’s championship belt. 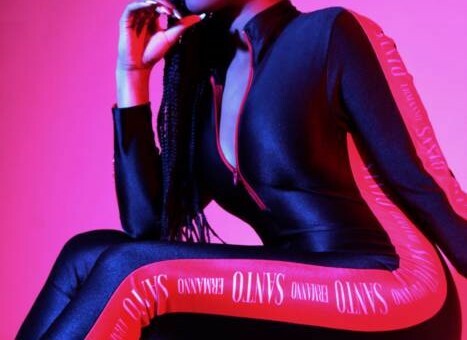 Meanwhile, the phrase “PHILADELPHIA, USA,” is embroidered on the lower left hem of the jersey as a nod to the city’s fans, heart and determination. The 76ers will debut the new City Edition uniform on Friday, Nov. 9 at 7 p.m. ET against the Charlotte Hornets, and the game will be broadcast on NBC Sports Philadelphia and 97.5 The Fanatic. Thereafter, the City Edition uniform will be worn at all “Spirit of 76” Friday home games, as well as all April home games. 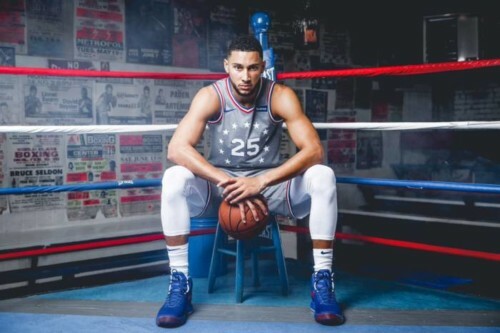 Media may click HERE to download visual assets supporting the 76ers’ new City Edition uniform, including a brand video and still photos of 76ers players wearing it at iconic locations from the Creed and Rocky films. City Edition uniforms will be available for purchase on Nov. 9 online at www.SixersShop.com and in-arena stores. In conjunction with the release of Metro Goldwyn Mayer Pictures (MGM) and Warner Bros. Pictures’ Creed II, fans can visit Sixers.com/CityEdition to enter to win a special City Edition prize package, featuring two City Edition jerseys, two tickets to the game on Nov. 9, a meet and greet with Creed II star Michael B. Jordan and a screening of Creed II on Nov. 10. 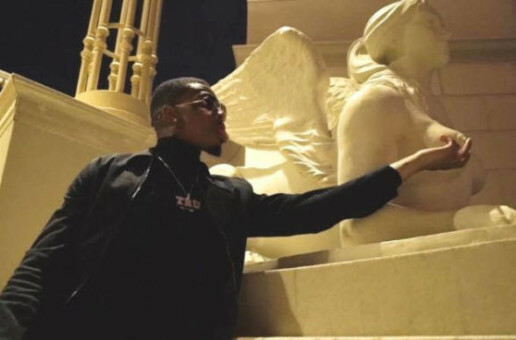 The microsite, presented by StubHub, is also highlighted by the 76ers City Edition brand film, which connects the uniform theme to the 2018-19 76ers by reliving some of the most famous shots from the Creed and Rocky franchises. Follow @eldorado2452 on Twitter and Instagram for all your Philadelphi Sixers, NBA and sports news.